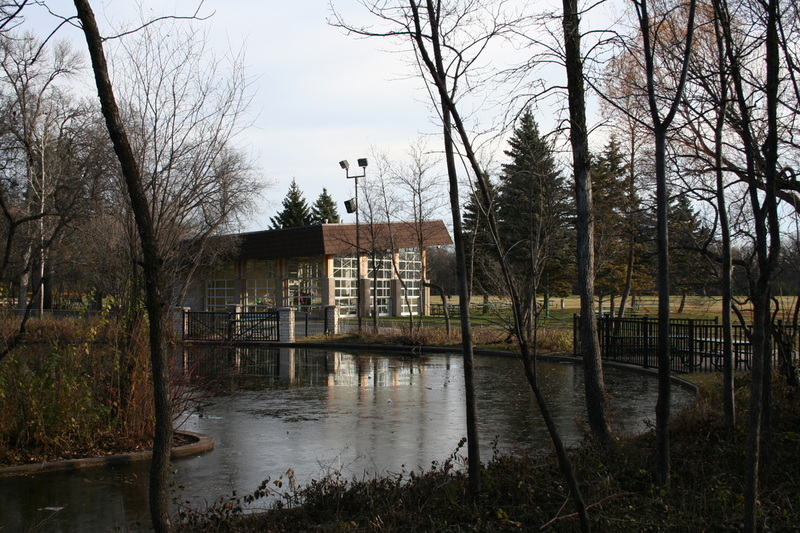 The Assiniboine Park Duck Pond Pavilion has been a public picnic/skate change area and washroom facility since 1967. 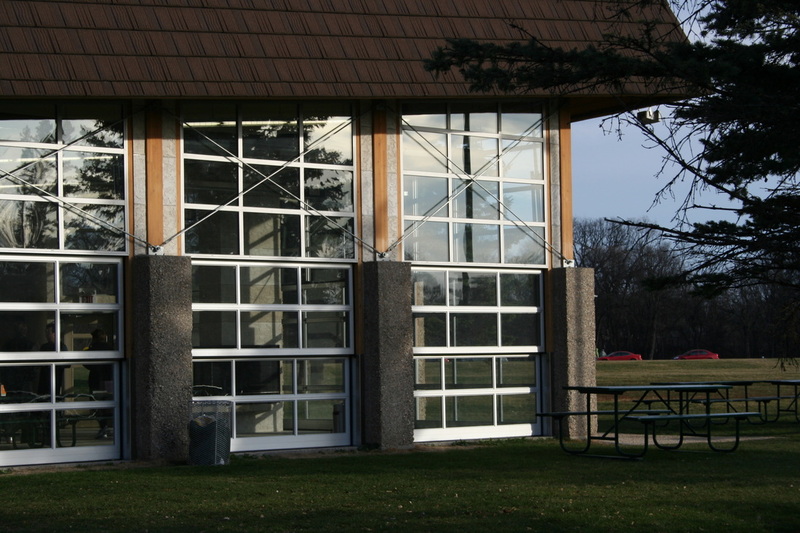 In 2007, the Pavilion was identified by the City of Winnipeg as a public facility in need of repair and reinvention. 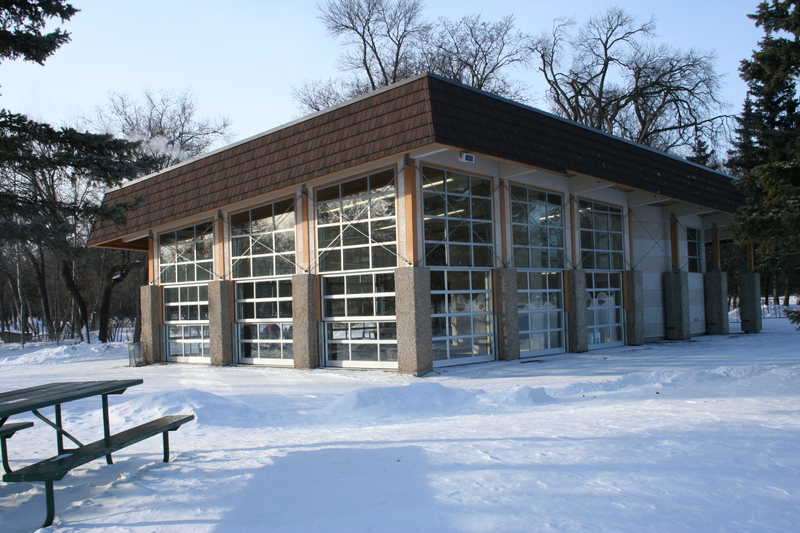 The winter skate change area felt dark and unsafe and washrooms were not accessible. The structure is now a fully accessible public facility -- bright, spacious and safe. More than a public washroom facility, it also provides visitors with a great place to gather. 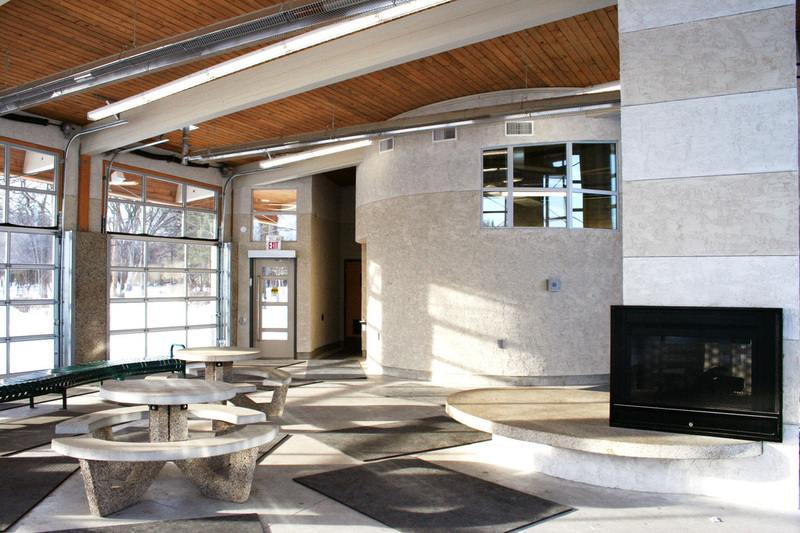 75% of the original facility was reused and a gas-burning fireplace was added (with funds saved from reusing materials). The original roof was raised and supporting pillars were adapted to create a bright and universally accessible public gathering space. 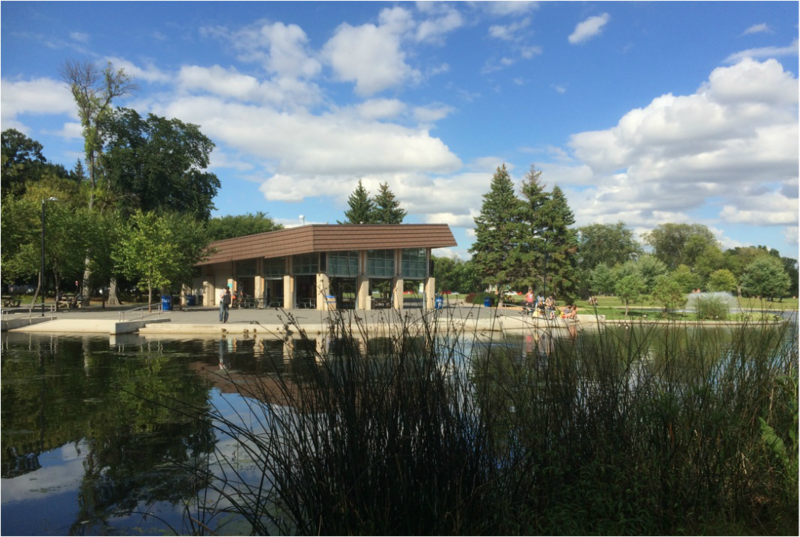 It has become a beloved destination of Assiniboine Park visitors, and is characterized by an elegant but robust design.